Demetri Evan Martin (Greek: Δεμετρι Εωαν Μαρτιν; born May 25, 1973) is an American comedian, actor, director, cartoonist and musician. He was a contributor on The Daily Show. 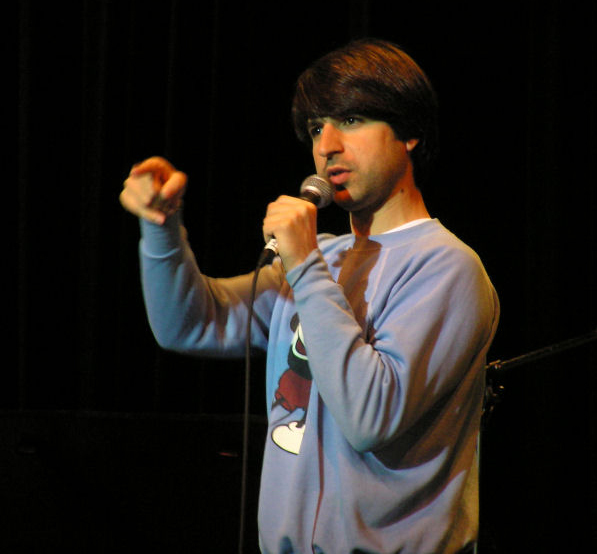 In stand-up, he is known for his deadpan delivery, playing his guitar for jokes, and his satirical cartoons. He currently stars as Ice Bear in the Cartoon Network animated series We Bare Bears. My computer beat me at chess... so I beat it at kickboxing.